Nana's heart will fill with love and happiness every time she wears her Personalized Nana Sweatshirt. 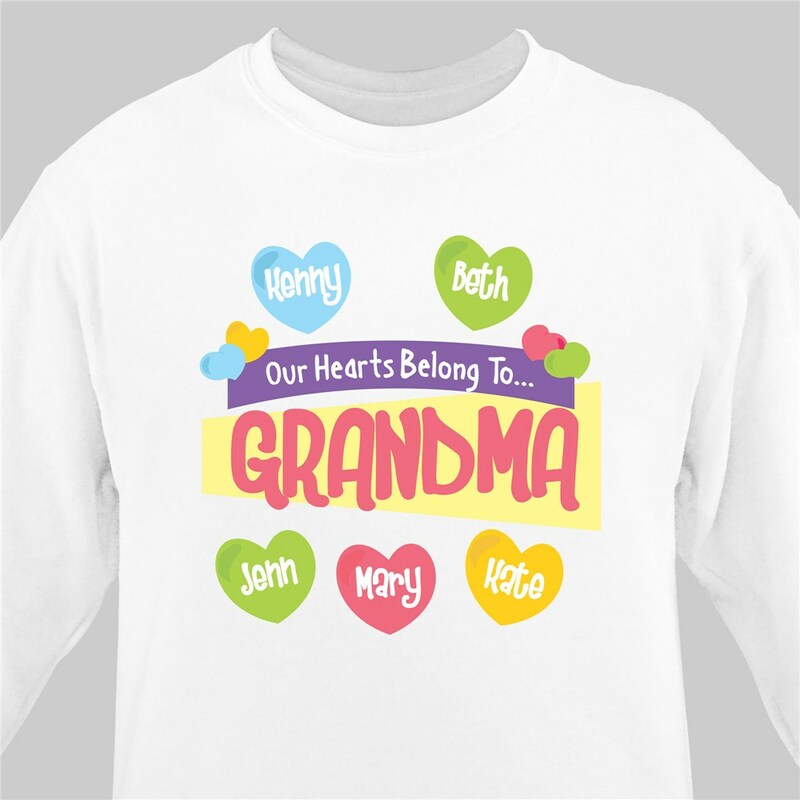 Our Personalized Grandma Shirts are available on our premium white cotton/poly blend Personalized Sweatshirt, machine washable in adult sizes S-3XL. Includes FREE Personalization! Personalize your Nana's Sweatshirt with any title and up to 30 names. Shop for Mother's Day gifts, her birthday and more. I have several different personalized sweatshirts and I always get compliments whenever I wear them. Grandma loves her personalized sweater...she had one before, but with the addition of another grandchild, I ordered her a new one. Great Job! GiftsForYouNow.com is your home for great Personalized Grandma Gifts. We offer all kinds of beautiful gifts for Grandma including a section for Brand New Grandma's. Personalized Photo Keepsakes make great photo gift ideas as a New Grandma Gift, Mother's Day gift or Christmas Gift idea. Choose GiftsForYouNow.com for all of your Personalized Gifts for Grandma.